Malinska is a wonderful place to relax, explore and run on beautiful routes surrounding the city. Malinska was once a small and poor village with grazing land and some fields, but today tourism is the main economic activity in this area. The reason for the development of tourism was a new port, where in 1866 landed the first steamer, which later on, brought the first guests to this green destination. Start of tourist activities is characterized by the formation of local tourist association in 1909. In the eastern part of the bay which is sheltered by two breakwaters, lies the harbor with two smaller piers. At the end of the longer one which is 150 meters long, stands a lighthouse. Around the port today there is a series of hotels and restaurants, where you can have your morning coffee and watch the seagulls, who rule the breakwater. 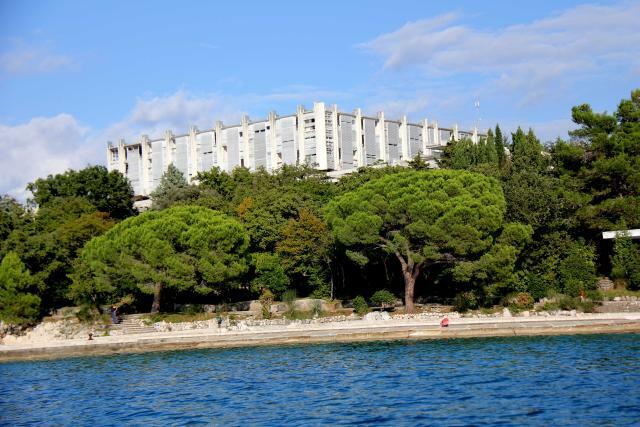 North of the harbor, we can see a small harbor, which once belonged to the famous hotel complex Haludovo, from which today we can only see remained ruins. In Malinska today there are five hotels: Hotel Adria, Blue Wabes Resort, Malin Pini and Vila Rova. They also have Campsite, which is called Draga. During the year in Malinska you can enjoy the numerous cultural events of classical and traditional music, which takes place in the atrium of the Franciscan monastery, as well as at other locations. In addition to the parish church of St. Apolinar in Bogovici, we need to mention the church gallery complex of st.Nikola, which is situated in the heart of Malinska. This is a newer complex, which in summer is a center of many artistic events. 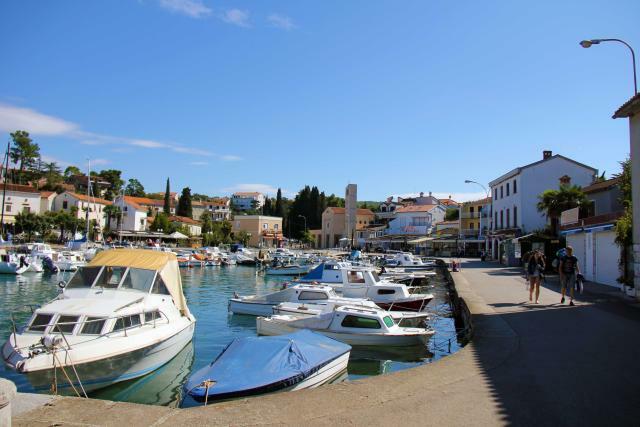 Hotels and restaurants in Malinska and its surroundings, are maintaining and developing its fishing tradition, through the rich gastronomic offer, where guests can taste a part of the past. The basic gastronomic offer that all catering facilities have is based on see foods, which are combined with local vegetables a part of Dubaška native cuisine. Glagolithic rich heritage has brought the island of Krk the name cradle of Croatian literature and culture. Even Dubašnica, under which belongs the city Malinska, has contributed to the Glagolitic tradition, thanks to the activities of local priests. Most of the cultural and historical heritage is represented by religious buildings, among which is also included the complex from 1480 – Church of Mary Magdalene and the Franciscan monastery. Next to the church of Sv. Mary Magdalene, there is a rich collection, which today can be seen in the museum area next to the church in the village of Porat, which is located next to Malinska. According to the testimony of Mr. Pungeršk, in the old days, when he was driving with his boat past the bay below the monastery, he saw nuns swimming in their typical clothes inside the big tires. But he only saw them one time, years ago, apparently at that time they were more courageous. In Malinska there is also a private ethnographic museum gallery named St. Nicholas, which is owned by family Bogović. You can find it on the street of Branka Fučić 21, Malinska. When in Malinska there was a famous Croatian Museum Night – organized from the Croatian Museum Society, which exist since 2005, they had a real party at this place. They prepared a program, in which why’ve also included stories, which emerged around the collection of objects which you can see on the farm. 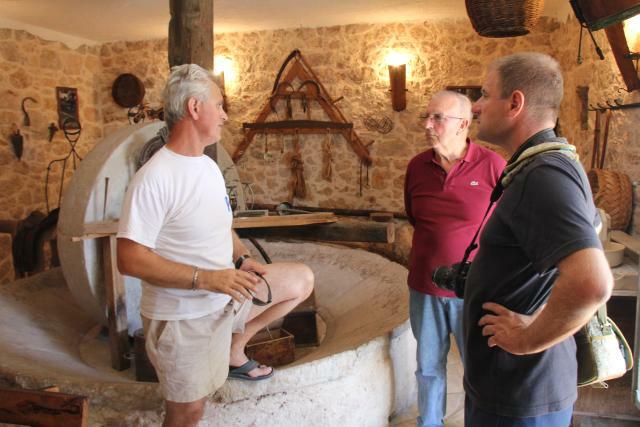 These were stories about family, stories about their own collections, stories of Olives, wood and very old tree, which is located on their homestead. Later they had a musical entertainment program and even a prize game. Unfortunately, due to today’s complex bureaucracy, this carefully arrange museum is not open to the public, so if you want to see it you need to arrange your visit in advance. Officially, for this reason, they may not collect an entrance fee or offer some food or drinks to guests as they might have some trouble with the authorities. However, it is fitting to support the preservation of the museum, so you can leave some mink, to thank the efforts of the owners and their management of the museum.